God IS good. He doesn’t just do good things. But His very nature is good. So He cannot be bad. Jesus is God. When a rich young man called Jesus “Good teacher”, Jesus answered Him, “Why do you call me good? No one is good — except God alone.” (Mark 10:18). That was Jesus’ way of telling the young man that He IS God. And God is good! All of us were born with a sin nature. Sin is not doing what God tells us to do. Sin is bad. On our own, we could never become good. On the cross, Jesus took all our sin, all our bad. And in exchange, He gave us all His goodness so we can be truly good. Jesus took all our bad so we can have all His goodness! We don’t do good to be good. We do good because Jesus made us good! Zacchaeus was a cheat and traitor when Jesus went to his house. 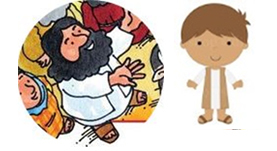 Jesus didn’t wait for Zacchaeus to be a good boy first before He became His friend. 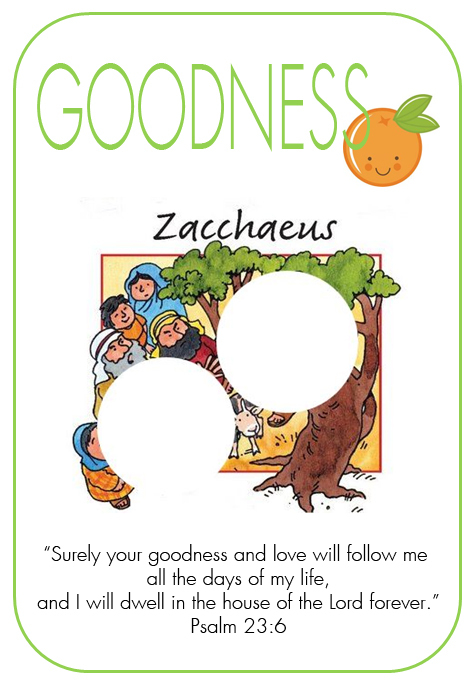 But because Jesus’ goodness transformed Zacchaeus, he was able to do the right thing, the good thing. If we have received Jesus into our lives, Jesus’ goodness is in us. He has taken away our sin, our badness. We are now Jesus boys and girls — so we are GOOD boys and girls! And we can do the right things, the good things. Jesus is also our GOOD shepherd — the one who takes care of us, His sheep. And when we follow Jesus, Jesus’ goodness and love follows us too … all the days of our life.